In Season 2 episode 8 of The Walking Dead, we find that the barn shooting massacre has a deep impact on Hershel . He picks up drinking again and Glenn and Rick go off to find him, only to get into danger. This time however, it's not from walkers. Click the audio player above to listen. 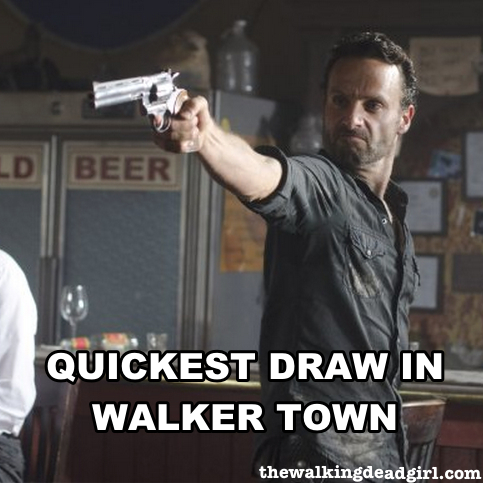 Rick is the quickest draw around. Leaves Glenn speechless.